And there’s more good news! We are happy to introduce a new free Timetable and Event Schedule plugin for WordPress, which reached numerous downloads in the first weeks after release. It’s a perfect tool for constructing and publishing timetables and connected with them upcoming events. The plugin comes with a clean-looking table design and doesn’t take long to build. 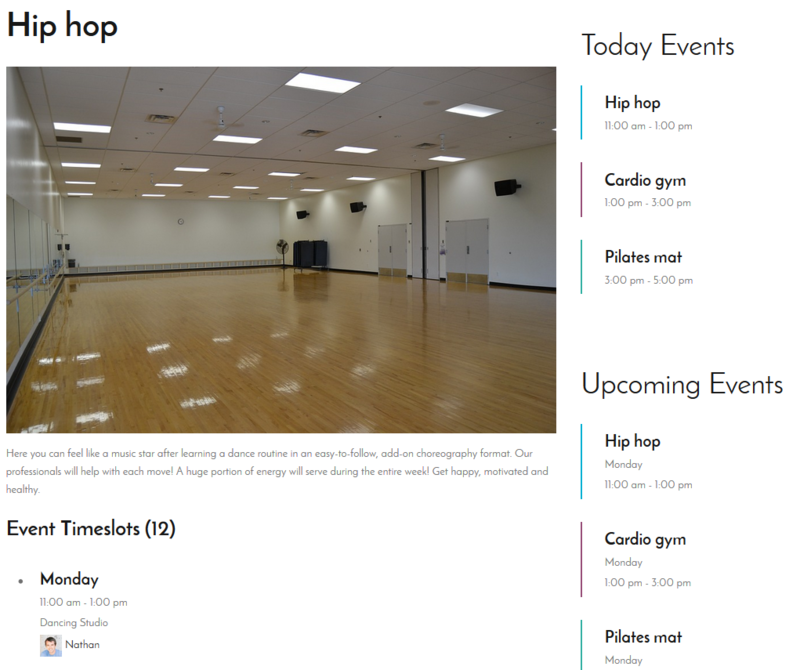 If your website deals with various lessons, gym classes, festivals, conferences, ceremonies, case-studies, formal parties, concerts, or other types of planned/repeated events, take a closer look at the main features of the Timetable and Event Schedule plugin we are going to cover in this post. This option can be easily set within shortcode settings. Easy-to-handle shortcode settings. Each shortcode setting comes with clear explanation to help you apply all needed settings easier. Moreover, the plugin is also supplied with step-by-step instructions to help you get used to it faster. 15 plugin parameters were implemented aiming to give you more freedom in the timetable personalization. Control over event parameters. Each event can be shown in all details the site guests are looking for: the title and description of an event (short in the timetable and full on the event’s page ), time and dates, event head and images. 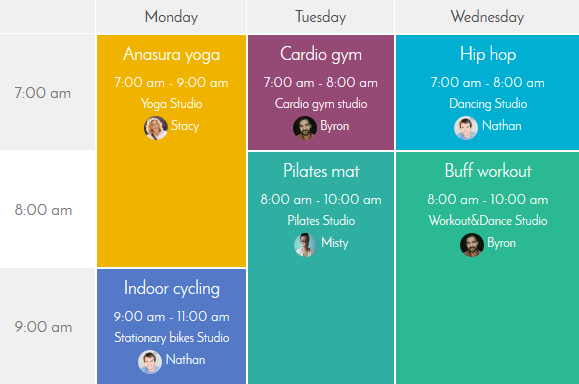 Use text align options for event blocks to make each event cell (and the entire timetable in result) more balanced. All these parameters are optional, so it’s up to you how they will be presented in the table. 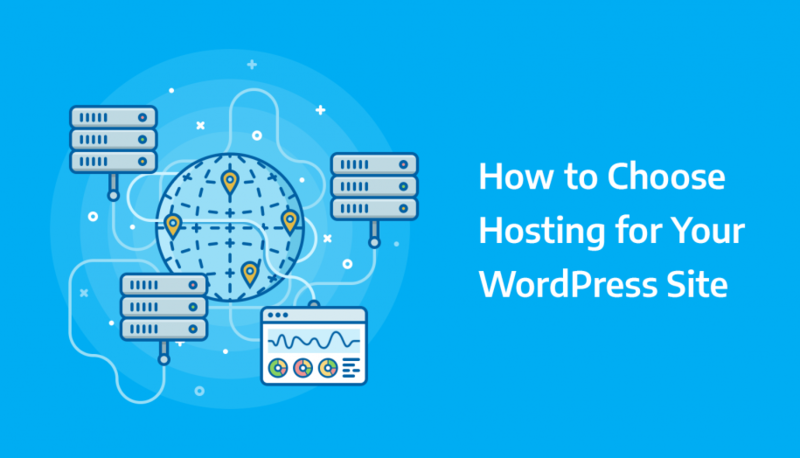 You can also link an event to any external website and don’t create a separate page for it. The columns are not necessary days of the week, you can name them according to the aims of your event organizer. For example, if there is a conference handled for visitors with various skills/levels/fields, label the columns appropriately (e.g. junior, middle, senior or Photography blogging, Photoshop world, Black&white photography, etc.) and output as many columns as you need. 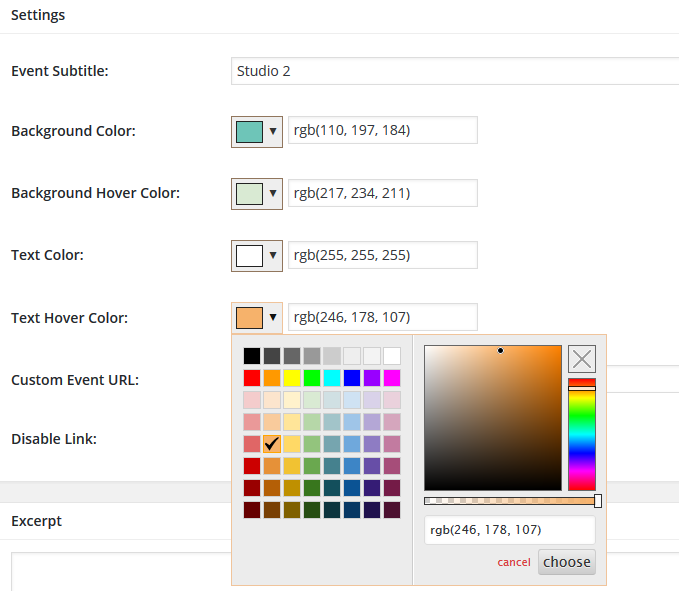 Color controls and customizable layout. Mark the same or connected events with the same color to speed up the search of the needed event without manual filtering. The plugin comes with color settings for background, background hover, text, and text hover. You are free to either make your timetable either black&white to fit a current clear website design or, on contrary, fully ‘paint’ to make bright and colorful to reflect your brand colors/main color scheme. As for the table layout, you can change the row height of the table depending on the info you want to present in the table, so there is no extra space. Also, you can show only preferable columns and events to be displayed in them. Event filtering. The site visitors want to quickly find only events they are interested in. The plugin is supplied with a great filtering system for this purpose. 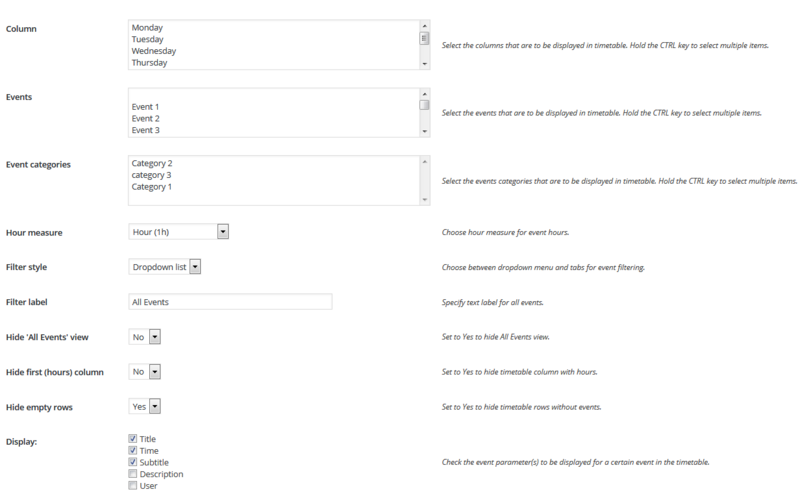 Setting the timetable, you are free to choose between 2 filter styles to simplify the search process for your users: tabs are great if there are about up to 10 events in the timetable and the drop-down list style will work for more events as it allows to show multiple events in a carefully-crafted list. Anyway, you can play up with both to see which one looks more organic on the site. You can also change or totally hide the ‘All Events’ filter label. Flexible timeframes. Decide whether the timeframes will be hourly or split them out to show up to 30 or even 15 minutes accurate time of your events. Moreover, you can totally hide the first column, which shows hours. Upcoming Events widget. All upcoming events will be presented in the sidebar of your site in a stylish and elegant list view just like the Responsive option of the timetable on mobiles. 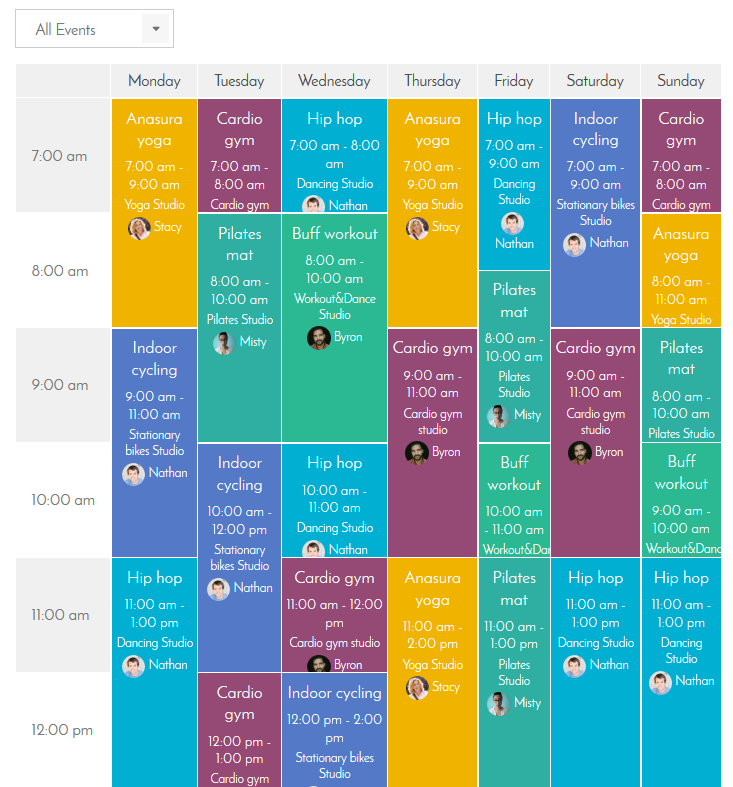 This widget will reflect color settings of the actual timetable, but in more compact way, so all of your upcoming events are always in the spotlight. 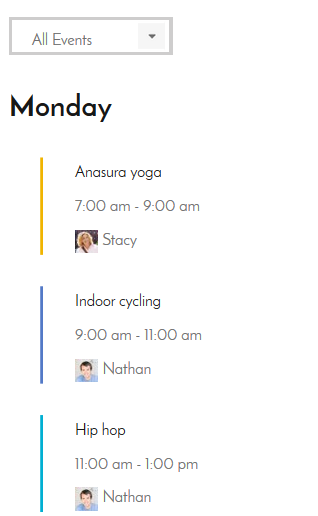 The widget is hidden when no upcoming events are scheduled. That’s not only must-have, but a great way to increase the usability of the timetable and to help your visitors always have the timetable at hand while navigating through the other website pages. If you still think that a handy timetable is not a necessity or your current event schedule in pdf format is okay, you are right. It’s pretty fine for you, but definitely not for your customers. 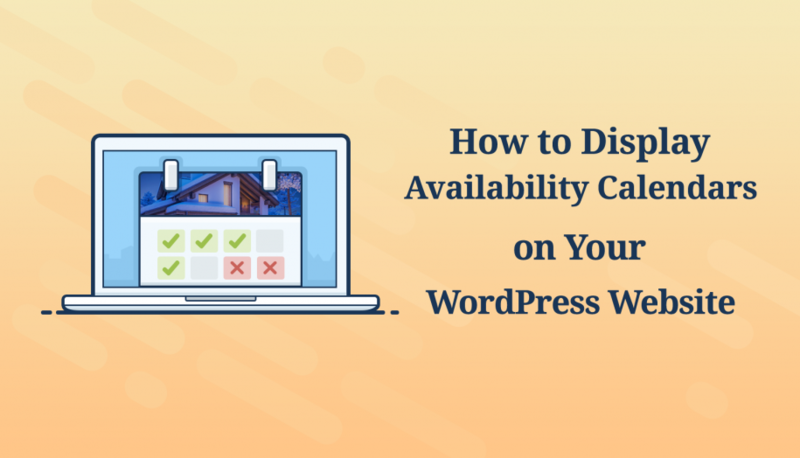 They don’t want to waste time looking for your schedule on the website forever and then navigate through complex or unreadable docs. If you take care of the customers and want to attract much more of them, do them a favor and your site will be definitely rewarded with higher conversion rates. Grab the plugin, it’s free! 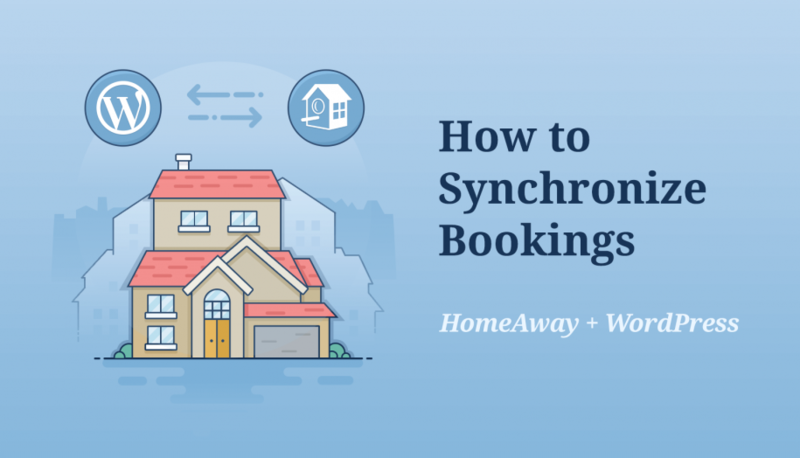 In case you need the solution not only for a timetable but also for your hotel business we also have easy to use WordPress booking plugin. Hi I’d like to start using this plugin for a festival that I’m organizing and I was wondering if it allows you to set a custom name in the columns (for instance, create columns for locations instead of days) and if there’s a limit of timetables for each website. I need to build a separate timetable for each day and the columns should display the locations. Can you help? Yes, you can add custom columns with custom titles and create unlimited amount of schedules. Thanks very much! Another question, I’m working on a schedule and I wonder how I can select the entries so that I can have four schedules with different contents. Do I need to list the name of each class or is there an easier way? While adding a timetable to the page you can select the events and columns to display in this schedule. So you can create needed amount of events with different timeslots and columns to add different timetables. I’ve installed this today and I’m trying to get my test timetable to look a lot more like the one in all your screenshots. I’m stuck on getting the details such as time and event head to align centrally. The title will, but the rest of the box won’t. Also I have large line spaces and I wondered if that was controllable? There are used styles provided in your theme design within TimeTable plugin. That is it depends on your theme how the plugin looks like. If you want to change something you need to override styles or add custom ones.